Thank you to everyone for choosing About Time Aviation! We're proud of all our graduates and know they will continue on the road of being safe pilots who are always learning, having fun, and continuing to achieve their dreams. If you're considering becoming a student pilot with us, we thank you as well! We know flying is an investment in both time and money, and we are dedicated to utilizing our many years of experience to help you reach your aviation goals efficiently and with unmatched safety. Congratulations on taking the first step in your exciting new adventure of becoming a pilot! Now take the next step and give us a call to really get on your way. "Congratulations!" "You're amazing!" "Way to go!" "You rock!" "You should be proud!" …As a student at About Time Aviation, you should get used to hearing such high praise because student-pilots, new pilots, and even experienced pros hear it a lot from us. And you deserve it because when you reach landmarks such as your first solo, getting your license, or adding a new skill, it's a big deal! Below is a list of some of our current student's latest achievements so you can join us in singing their praises! Virgil Pratt (in his 150 hp Cessna 150). Virgil had this to say about learning to fly. "Flying is one of the most difficult things I have ever tried to accomplish, but the most enjoyable and rewarding. It was a dream that my father and I shared since I was in my twenties. My goal is to be able to take off with my wife and be able to anywhere to visit friends amd relatives and just enjoy the experience." Greg Horton came to us with quite a few hours already in his logbook. He had been flying 172s in Arizona, working toward his private. Greg lives in Alaska and was able to come down to Oregon for a fairly brief period of time to finish his training. He had access to a friend's 172 RG, which meant transitioning over to a complex airplane. 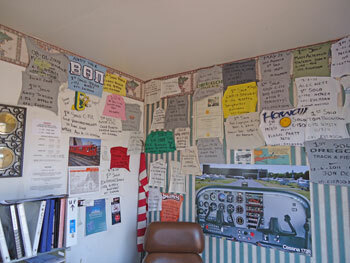 Greg was able to accomplish this in fairly short order and subsequently passed his private pilot check ride. Greg has found a way to remain in Oregon for a little while longer. 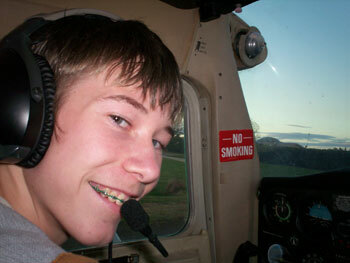 His goal is to pursue his instrument rating as soon as possible. Bob Rippee has been working on his pilot rating for about 3 years and just passed his private pilot check ride with flying colors! He had to take 22 months off due to a medical issue but was laser focused on getting his rating completed. Shortly afterwards Bob bought a beautiful Cessna 172 with a 180 hp conversion. Bob is flying all the time and is loving his new found freedom. His airplane is nicely equipped for IFR flying and Bob wants to purse that as well. Chad Tennyson passed his private pilot check ride after only about 3 months of training. Chad is a summertime resident and native of Alaska. He will be flying his uncle's Cessna 152 this summer and hopes to get some time in a Beaver as well. Chad plans on working towards his instrument rating next. Congratulations! 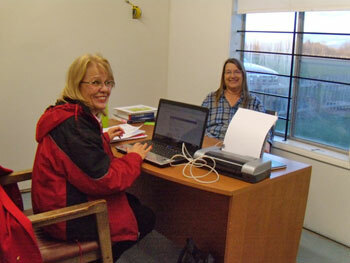 ATA student Melody Knokey passed her private pilot check ride with FAA examiner Mary Schu. Mary said that Melody's performance was "well above average". Melody and her husband Frank own a Cherokee and recently purchased a Piper turbo Aztec to do multi-engine training. Frank is a 25,000 hour helicopter pilot and was Melody's biggest fan as she worked toward her license. Kevin Gielish, proud co-owner of a beautiful Cessna 182, received his private rating and is now actively training for his IFR ticket. 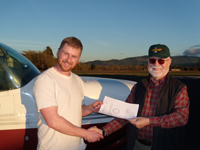 Mathew Altemus earned his private license in his Cessna 150. 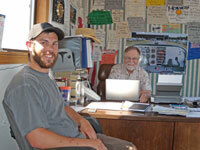 Matt hopes to resume his IFR training soon. Cole Vanlandingham passed his private pilot check ride at the minimum age of 17 after starting regular flying lessons with us when he was 11 years old. Jim Logajon passed his private check ride. Jim accomplished this after starting training in gliders. 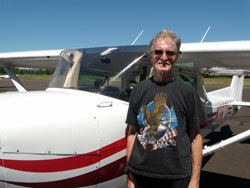 Mark Carpenter soloed his "new" 1956 Cessna 182 earlier this year. In July he realized his dream of becoming a private pilot right after becoming a proud papa of two. Nick Reed soloed in January, private pilot by April, and earned his IFR ticket in July. Way to go Nick! Jason Wilson added a single engine airplane commercial pilot rating to the one he already had for helicopters. Jason can be found fighting crime in the skies above the Eugene area in the sheriff’s helicopter. He also operates a Pitts special biplane and gives aerobatic rides at Creswell. Mike Buckridge, owner of Sun Automotive (a great place to have your car fixed), earned his license as a private pilot and is considering pursuing the IFR rating. Tommy Skipper became a private pilot. Tommy also sees an IFR ticket in his future. 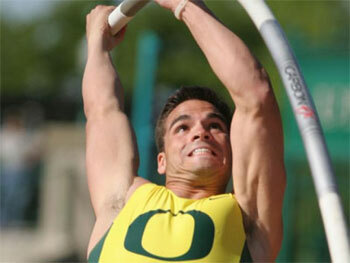 Aficionados of Oregon's track and field program know Tommy as a national top tier pole-vaulter. Roger Welch is a private pilot! Roger is a local school music teacher, now retired. He plays brass in three different musical groups and has still found the time to fly. He worked as hard as anyone to see his dream come true. Don Howard added a single engine rating to his certificate. Don already has multi-engine land and glider ratings. 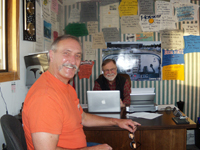 Jon Derby is the proud owner of a fresh private pilot certificate, earned in our Cessna 152. Jon got checked out right away in our 172s and has been flying a bunch. Jim Origliosso passed his Instrument Airplane check ride. Jim and his partner own a Cherokee 180 nicely equipped for IFR flight.